Dr. Keith Poulsen was named the WVDL’s Director on Sept. 1, 2018. Additionally, he holds a joint appointment as a Clinical Assistant Professor in the Medical Sciences Department at the UW School of Veterinary Medicine and practices as a specialist in Large Animal Internal Medicine in the UW Veterinary Care Large Animal Teaching Hospital. Dr. Poulsen is actively involved in the Wisconsin Veterinary Medical Association (WVMA), American College of Veterinary Internal Medicine (ACVIM), National Animal Health Laboratory Network (NAHLN), and American Association of Veterinary Laboratory Diagnosticians (AAVLD). Dr. Poulsen’s interests focus on cattle health, zoonotic infectious diseases and global health. Currently he is working to develop and coordinate Badger Partners in Health and Safety, a multidisciplinary group that provides basic preventative health services for migrant and under-served dairy farm workers in Wisconsin. 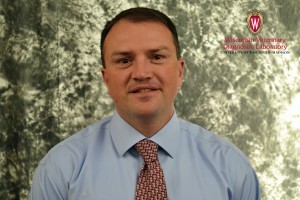 Dr. Poulsen is a Wisconsin native and earned a BS in Biochemistry (2000) and DVM (2004) at the University of Wisconsin. He interned at North Carolina State University in the Food Animal Medicine and Surgery Program prior to returning to Wisconsin for his residency in Large Animal Internal Medicine and earned diplomate status from ACVIM in 2008. Following clinical training, Dr. Poulsen earned a PhD in Comparative Biomedical Sciences from the University of Wisconsin in 2012. He spent two years at Oregon State University as a faculty member in Large Animal Internal Medicine and returned to the Wisconsin Veterinary Diagnostic Laboratory and the School of Veterinary Medicine in 2014. Dr. Nicole Aulik, in her fifth year at WVDL, was named the Section Chief of the Microbiology lab in March of 2018. 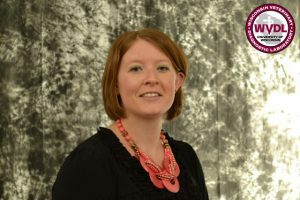 She had served as the interim director for over two years after joining the WVDL staff in November of 2014 and taking on the role of supervisor of the Microbiology Lab. She also holds a second appointment with the Department of Pathobiological Sciences in the University of Wisconsin- Madison School of Veterinary Medicine. 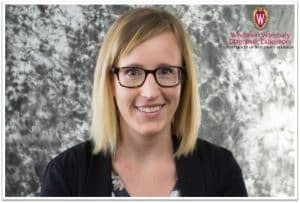 Dr. Aulik is a Wisconsin native who earned a BS in Medical Microbiology and Immunology and Molecular Biology (2005) and her PhD in Microbiology (2010) at the University of Wisconsin- Madison. She spent three years as a faculty member at Winona State University followed by a position as a Microbiology Manager for a pharmaceutical company. 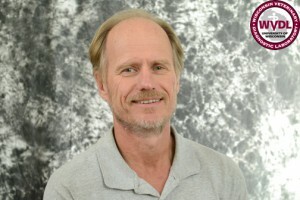 Dr. Aulik’s research focuses primarily on bovine respiratory disease and bovine Salmonellosis, with a focus on the interaction between the microorganism and the innate immune system. 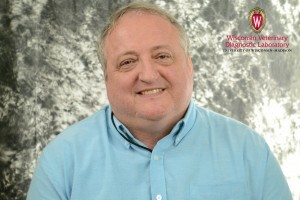 Dr. Phil Bochsler is in his 17th year at the WVDL, joining the staff in July of 2001. After serving as the WVDL’s Director for the past two and a half years (named director in June of 2015), Bochsler returns to his passion – diagnostic pathology – at WVDL. Prior to taking over as director, Bochsler was the Section Chief of the WVDL’s Pathology Department for 14 years. After graduating from Washington State University with his DVM, he spent two and a half years in mixed animal practice in both Oregon and Washington before entering a combined Ph.D. and residency program in pathology at Cornell University. He subsequently worked at the University of Tennessee as a professor in the College of Veterinary Medicine in diagnostic pathology and teaching, while also performing research on the immunological responses of cattle to toxin from Gram-negative bacteria. Before moving to Madison and the WVDL, he earned two awards for teaching excellence at Tennessee, serving as Director of the Pathology Resident Training Program and the Director of Anatomic Pathology Service. 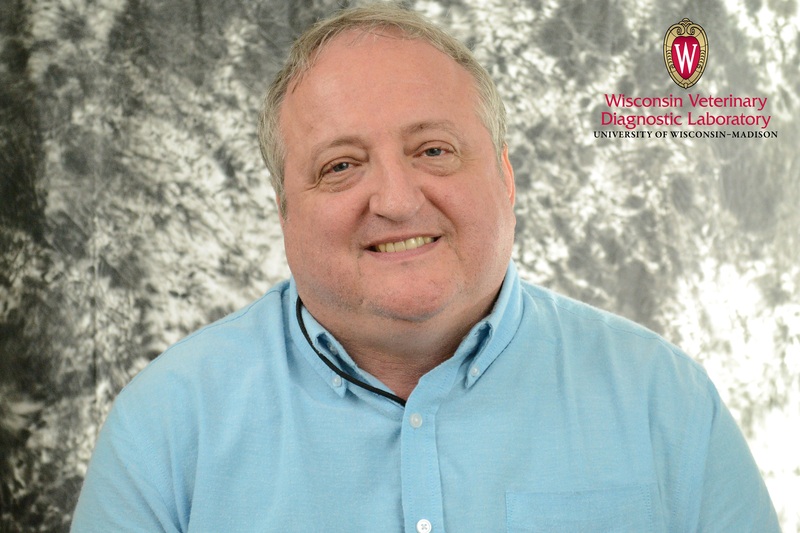 Prior to taking over his new role as Director at WVDL in July of 2015, Dr. Bochsler served as the Section Chief of Pathology, Chemistry and TSE testing. In addition, he was an active pathologist and taught at the School of Veterinary Medicine where he currently remains a Clinical Professor. His interests and expertise span a large number of animal species and an array of diseases. 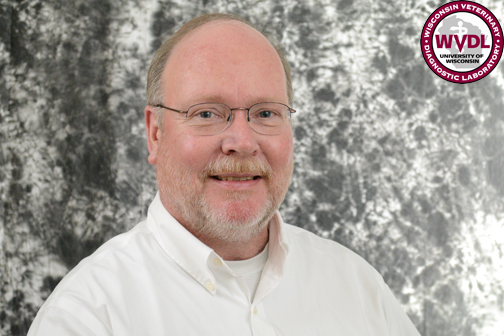 Dr. Elsmo joined the WVDL staff in August of 2017, accepting a dual appointment as a Diagnostic Pathologist (WVDL) and Clinical Instructor at the UW School of Veterinary Medicine (SVM). She earned both her bachelor’s degree in Wildlife Ecology (2008) and her DVM (2013) from the University of Wisconsin-Madison. Her residency in Anatomic Pathology (2013-2016), was a joint appointment at the University of Georgia College of Veterinary Medicine and Southeastern Cooperative Wildlife Disease Study, where she specialized in wildlife pathology. Her special interests include infectious disease, wildlife health and avian pathology. Dr. Hsu has been with the WVDL since December of 2000. Prior to her work here, she spent six years at the Wisconsin Department of Natural Resources, where she conducted fish health inspections throughout the state of Wisconsin and performed microbiology and pathology diagnostic work. 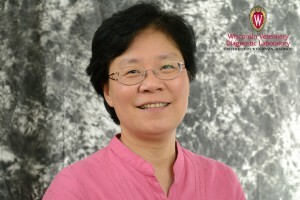 She earned her DVM from the National Taiwan University (1985) before coming to the United States to pursue graduate studies, specializing in fish diseases at Cornell University, receiving her PhD in 1993. Dr. Hsu is a certified Fish Pathologist with the American Fisheries Society. Her interests include work in the development of diagnostic assays for aquatic bacterial and parasitic pathogens. Dr. Hsu has also been actively involved in the training of aquaculture veterinarians in Wisconsin. In addition, she has participated in inter-laboratory studies directed by FDA-CVM on the standardization of antimicrobial tests for fish pathogens and worked on collaborative projects with other fish testing laboratories on the improvement of diagnostic tools. 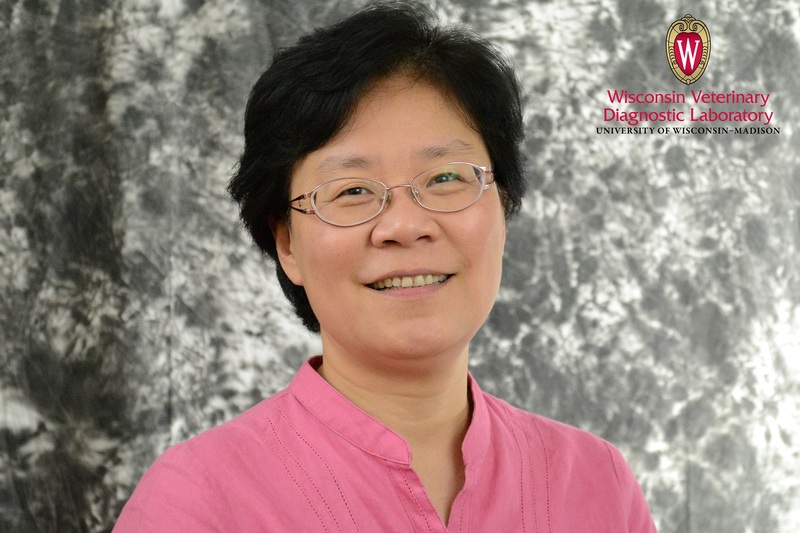 Dr. Ailam Lim became the WVDL’s Section Chief of Virology in August of 2018. 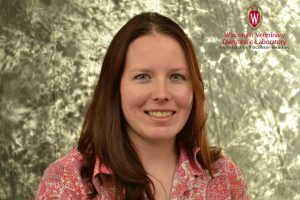 She also holds a second appointment as a Clinical Assistant Professor with the Department of Pathobiological Sciences in the University of Wisconsin- Madison School of Veterinary Medicine. Dr. Lim was born and raised in Malaysia, before moving to the United States in 2000. She earned BS in Microbiology (1995) and MS in Molecular Virology (1998) degrees from the University of Malaya; and spent several years of post-graduate work on Dengue virus research at the University of Malaysia Sarawak, on the Island of Borneo. She earned her PhD in Pathobiology (2010) at Michigan State University. From 2001, she spent 15 years working at the VDL at Michigan State University, her primary role being in molecular assay development. She held the position as Virology Section Head at Breathitt Veterinary Center for two and a half years prior to coming to the WVDL. 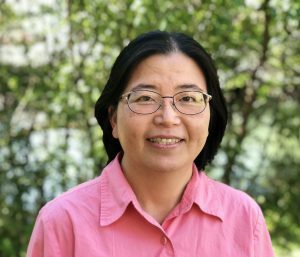 Dr. Lim has broad interests in emerging infectious diseases, zoonotic and vector borne diseases for livestock and companion animals, with her primary focus on advancing molecular diagnostic assays. 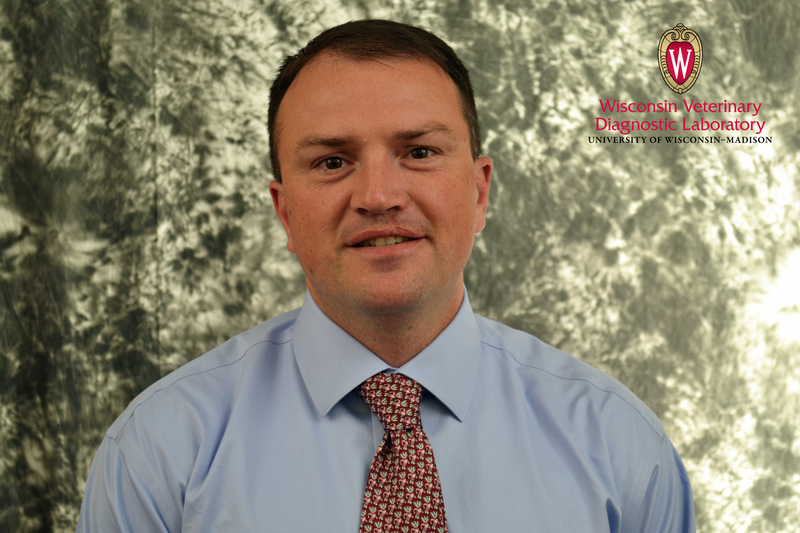 Dr. Doug Lyman, who initially joined the WVDL staff from 2009-15, returned as a Diagnostic Pathologist in April of 2016 after serving in the same capacity at Marshfield Laboratories in 2015. Lyman attended North Dakota State University (1974-77) before earning his DVM from Iowa State (1977-81). After graduating, Lyman ran his own veterinary practice (primarily dairy) for 23 years (1981-2004) in Wisconsin. He also served as an independent dairy nutrition consultant (1992-2003), developing expertise in all aspects of dairy cattle nutrition and providing complete nutritional management programs, including ration formulation, feed testing, trouble shooting and records analysis to his clients. Lyman went back to school in 2004, completing his residency at the UW SVM in 2007 and achieving ACVP board certification in anatomic pathology in 2008. He has done research in several areas of bovine health, including copper accumulation and oxidative stress in dairy cattle, characterization of disease caused by bovine herpesvirus 4 in cattle, forestomach disease in dairy calves and histopathology of the bovine uterus. His primary interests are dairy pathology and oxidative stress in dairy cattle and other species. Dr. Sockett grew up on a dairy farm in Southern Ontario, Canada and graduated from veterinary school at the University of Guelph in 1981. After graduation, he successfully completed internship and residency programs in large animal medicine and surgery at the University of Minnesota and Colorado State University, respectively. He obtained his PhD degree from the University of Wisconsin-Madison in 1991. Dr. Sockett has authored over 100 articles on infectious diseases of dairy cattle in scientific and lay journals. Currently, he works as a veterinary microbiologist/epidemiologist at the Wisconsin Veterinary Diagnostic Laboratory. Dr. Holly Taylor joins the WVDL staff as the full-time pathologist at the Barron Lab. She grew up in Pennsylvania on a beef farm that raised Hereford and Angus cattle and her great-grandfather owned a dairy farm and also raised Belgian draft horses. Dr. Taylor earned her B.S. in Animal Bioscience (minors in ‘Poultry & Avian sciences’ & ‘Wildlife & Fisheries science’) from Penn State University (2009) and went onto obtain her DVM degree from the University of Tennessee (2013). While at Tennessee, she completed several pathology externships at Michigan State University, Cornell University and Penn State. During the past three years, Taylor completed her anatomic pathology residency at the University of Missouri Veterinary Diagnostic Laboratory. Her specific interests are bovine infectious diseases and poultry pathology. Along with her husband and two-year old daughter, Dr. Taylor hopes to start a cow-calf farm in the Barron area. Among her many interests are hiking & running with her dogs, boating, camping, traveling and attending tractor pulls.